Would anyone know the Twitter handle of Pinaka? Can’t seem to find him. I find Pinaka’s assertion that he has more in common with a Balinese Hindu than with someone from a neighboring country to be quite ironic. It reminds me of those Pakistanis who believe that we have more in common with Arabs than with Indians. As Omar pointed out, language and culture often hold more significance in reality. Punjabis tend to gravitate towards other Punjabis, despite the religious differences. In my own experience, I always felt more comfortable with other South Asians than with Arabs. Religion is only one dimension and it is reasonable to ask why someone would privilege it above all other dimensions (of course it is their right to do so if they wish). I also find the “Hinduism in danger” belief to be kind of paranoid. India is overwhelmingly a Hindu country and most of those in positions of power are Hindu. This seems to me like those people who argue that Islam is in danger in the Islamic Republic of Pakistan. Also, it seems Hindu nationalists are more upset by “nominal” Hindus than they are by minorities themselves. Finally, the whole “Akhand Bharat” thing is a dangerous fantasy. Pakistan and Bangladesh are not going to be destroyed as nation-states. It is also an empirical question whether every single Hindu is actually deeply attached to the geographic territory of Pakistan and sees it as a “spiritual homeland”. Observationally the more “elite” the Pakistani, the more they look West..
Aam admi wants no border but the Anglo-Urdu-speaking elite (regardless of their ethnicity) has a very different orientation. Isn’t China in the East? Afaik Pak elites do not send their scions to China for further study. Furthermore among the Pak elites; the “foreign spouses” are rarely Asians but rather Middle Easterners and Westerners. I’m talking of my experience with the Karachi elites. China is not a natural link in the way the West, Ummah or India is..
It’s a foolish strategy when the Punjab border would literally bloom if progressively opened up. But even Indians have to be blamed for that since they channel their healthy dislike of Islam into a paranoia about Pakistan.. they are throwing the baby out with the bath water ..
Punjabi is the wrong ethnicity to have picked for your assertion. Literally the ONLY ethnolinguistic group in Indian subcontinent that opted for Balkan style 100% population exchange via respective ethnic cleansing pogroms in 1947 in east and west Punjab. Rest of India looks at Punjabi cross border hobnobbery very cynically. Think of the sentiment you’d feel when you see pictures of Zionist leaders hobnobbing with Nazis (both said European Jewry should get out of Europe) or Garveyite blacks breaking bread with 1920s Ku Klux Klan whites (both said black Americans should pack off to Africa lol). I guess when you erase the other from your day to day, it is easy to feel long lost sense of nostalgia. “It is also an empirical question whether every single Hindu is actually deeply attached to the geographic territory of Pakistan and sees it as a “spiritual homeland”. Well it is the place of birth of mainstream Hinduism, so in a way it has similar associations that Saudi has to Muslims. But I don’t think most modern Hindus care about it so much now, bar the Hindu nationalists. Lol , no one gives a dam about hinduism in Pakistani Punjab (apart from some hindu punjabis),not even the Hindu nationalist. The hinduism of today is a Gangetic belt construct not a Indus belt one. Early vedic age rooted in present day Pakistan, but yes modern Hinduism reached its full recognisable form in gangetic belt. 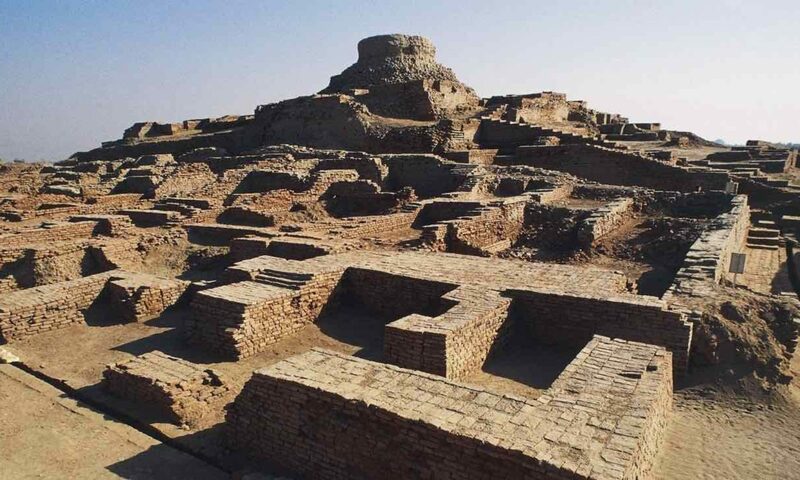 Karan, if Pakistan was safe and encouraged religious seekers to visit, tens of millions of people the world over would visit the ancient Tirthas inside Pakistan. The spiritually charged locations are honored. Even if religious people don’t care about the political arrangements governing them. Have not heard this podcast yet. With respect to the four books mentioned above; several people I asked suggested that Brown Cast interview Koenraad Elst and Sita Ram Goel (they authored two of the four books). Is there an interest among listeners to hear a podcast with them? This book is famous. The original author is Madhavacharya who might have lived 1238 to 1317 AD. He is the most famous spiritual master and theologian of the Dvaita sampradaya (within Uttara Mimaamsa, which is within Purva Mimaamsa, which is one of the darshanas of Sanathana Dharma). I have not read it. I have read several other summaries of the 10 famous darshanas of Sanathana Dharma (there are theoretically more than 10, but in practice students traditionally only studied 10). Hey – you are confusing mādhavācārya with madhvācārya. No amount of Tagore or “Punjabiyat” stopped the same ethnicities to turn against one another, when push came to shove. Wont say this is such cut and dry, ie the bengalis ,urdu folks and punjabis did collaborate for Pakistan now, didn’t they. Religion CAN override difference , ie why are the the gujrati hindus and tamil hindus even in one country then? India is conglomeration of hindu majority areas+ N-East folks who happened to come as part and parcel of Brits territory. Change the religious demography in any part and you would suddenly see the so called “Indian” culture no longer hold it together anymore. There is enough ethnic difference for people to secede if not for religion. For some even religion isnt enough but that’s a separate story. Truer words haven’t been spoken. But sooner or later nominal hindu will have to choose(like the had to choose in N-India) to either become agnostic/atheist (like their northern counterpart) or be part of Hindutva in some form or the other. Wow I think I will definitely join Hindutva should the need arises, subject to certain conditions though: no silly attempts to spread Sanskrit as lingua franca (you are only allowed to enormously intensify your efforts to spread Hindi), no banning of English for some minimum stipulated amount of time, some type of basic minimum social rights for Hindu transgender and homosexual individuals (doing appropriate research and creating, sustaining and popularising alternative and liminal yet moderately caring non-traditional-family-related institutions like adult orphanages and other refugia for people rejected by their families and those who reject their families, etc. etc. ), and a strong investment much later on in thoroughly scientific research programs of non-heterosexual sexualities and non-cisgender identities and try to avoid suffering by using the newly gained scientific knowledge to minimize the number of births of these types of children (but also not forcing prospective parents in any of this but only as a possible option to them), etc. etc. Also add other stuff like policies attempting to reduce mixed sexual orientation marriages by creating awareness among straight women which is among the most vulnerable groups in this regard, creating awareness and normalising marriages of convenience (marriages between a gay man and a gay woman), not banning divorce, not legalising homosexual marriage but not overturning the decriminalisation of homosexual activity, etc. By the way, the marriages of convenience thing is not intended as a stepping stone towards marital infidelities but just as a possible initial way and option for some who are hell-bent on marrying for the sake of families, to curb mixed-orientation marriages. The ultimate moral solution within the Classical Hindu framework for this problem is to respectfully and lovingly treat homosexual and transgender individuals outside the confines of traditional Hindu society (but not too outside) and trying our level best to find the most humane ways to ensure these types of individuals are not born in the likely quite distant future. But it must be kept in mind that this goal may not be realisable until much later from now and the commitment to pursue modern science for this purpose (and of course other purposes) needs to be extremely high in the Indic-resurgent India from the get-go. Actually Chinese resurgence and Indic resurgence are very much hoped for in this regard since the international liberal program seems to have totally ignored this second side of the coin of things, which is that parents need to be able to have an option of not having non-heterosexual and non-cisgender children if they desire so. I find Pinaka’s assertion that he has more in common with a Balinese Hindu than with someone from a neighboring country to be quite ironic. i pretty much thought this was ridiculous. but it’s a 1.5 hour podcast. wasn’t going to continue to litigate this ridiculous assertion. 70 years of post-partition politics cannot erase thousands of years of cultural, familial, and geographic ties. I haven’t heard the podcast yet, but – let me put it this way – with “Skin in the game” to keep it real. Even an impartial neutral non-hindu atheist might see the point. Would one, as a father of two young Hindu girls, want to live in the midst of a muslim neighborhood (punjabi, bangla, moplah, kashmiri take your pick)? A burmese buddhist neighborhood? A Balinese Hindu neighborhood? A vietnamese buddhist neighborhood? I mean – The muslims can eat all of the same chicken Tikka masala and the Vietnamese can eat all the cocroaches they catch. But, at the end of the day, what matters far more are some shared gurantees and outlook. In other words, “more in common” is not a simple average – but a weighted complex mean. Well articulated. I think some of those who objected (and surprisingly perhaps even Razib) took “more in common” to mean “the area of overlap measured using food, clothing, language, movies… is less wide”, whereas that is clearly different from what the Pinaka fellow intended. That said, I would recommend that you listen to the rest of the podcast, because having seen your website, I have some hope that you may be able to answer some of Omar’s well chosen questions better without letting them go waste. Omar raised some really intelligent questions designed to optimize information exchange, e.g., the way he tried to get Pinaka to justify his claim that some of India’s problems arise from Dharmashastras not being drawn upon in the framing of the constitution (even among “Hindu nationalists” this view is very rare, so articulating a coherent answer could’ve been very informative). Frankly I think Pinaka hardly gave a satisfactory answer, though this could be a priori because of not being able to generate a response in real time in an unusual setting rather than due to living in a “trad echo-chamber” which made it unnecessary for him to think his views through. May I please request Razib/Zack to kindly delete my two comments above (and then this one)? The point of the latter comment still stands but since it has been made, it isn’t necessary any more. Sorry for causing annoyance/taking your time, and thanks in advance. I agree with this view. Contemporary scholars like PV Kane, DV Gundappa etc.. noted this with sadness. The most tragic of it, in my view, is the fundamental shift from duties to rights. If the dharmashAstra-s were to be followed, we might have had something like the remarkably high-functioning old Mysore kingdom, dominated by the brahma-kShatra classes, with a powerful highly accomplished and upright prime minister appointed for a short term by the king, house of representatives drawn from the subjects; strong patronage and support for Hindu scholarship and traditions. I might have forgotten to hit the “Post comment” button earlier. So retyping the message. I subscribe to this view, as did many perspicuous contemporaries of Ambedkar like PV Kane and DV Gundappa. If the dharmashAstra-s were to be followed, we might have had something like the remarkably high-functioning old Mysore kingdom, dominated by the brahma-kShatra classes, with a highly accomplished and upright prime ministers appointed for limited terms by the king, house of representatives drawn from the subjects; strong patronage and support for Hindu scholarship and traditions. As to why this might have been the case, one should understand that the dharmashAstras and their applications arose organically over millennia and were not copy-pastes from American and Irish constipations – so better in tune with the quality of human capital. As such, they excelled in harmonizing various social groups without degenerating into caste-based vote-banks as in the case of dumbocracy. I appreciate your response. On a different space I would have follow-up qns triggered by my ruminations on Omar’s objections. But let that be, vismriyataam; thank you. No you are not allowed to be this dumb. These last two podcasts were excellent Razib. the next one with kushal mehra is interesting. i think the second half will be more interesting as we got the preliminaries out of the way…. Just heard the Charvaka person’s podcast – so crisp – great one indeed! I don’t doubt Pinakasena’s credentials, but I don’t think he was a particularly effective messenger for Hindu Nationalism. To be a Hindu Nationalist while simultaneously “eschewing” definitions seems strange. How can you be a partisan for–and build a movement around– something you can’t define? The problem regarding definition stems from the fact that each ethnic “Hindu” community thinks that what it really practices is true “Hinduism” while the other isn’t. So to have a larger umbrella you have to abstain from defining “Hinduism” ie the whole debate about whether its a way of life vs religion or who is really a hindu ie is it territorial/ethnic/religious? This then leads to “Hindutva” facing the same issues as well. It helps initially to have a loose definition, in sense that it has the potential to appeal to a wider audience but it has its own limits. Because if it means everything to everyone that means it doesn’t mean anything concrete. I think the ‘limits’ hindutva faces goes further as one has to address dalits and tribals, who although nominally and culturally lie within the broadchurch hindu fold, yet remain suspicious of a hindutva that is led by upper caste/backward caste hindus. The same applies to sikhs, buddhists and perhaps to some extent the jains as well all of whom have this measured acceptance and rejection of what hindutva brings with itself, for example, most agree that as a dharmic people we need to decolonize and de-marxize (sic) indian history but are also vary of the kind of hindutva interpretations of history that one gets to hear on occasion. vajpayee (wanted the sangh to embrace gandhian socialism) the sangh has yet to come up with an ideological framework that cuts across the diversity of india so as to consolidate a genuine conservatism and be able to challenge the other ideological currents of indian polity like nehruvian secularism, lohiate socialism, dravidian and other sub nationalism’s, marxism, etc. This is hindutva’s biggest failure and i see nothing on the horizon that seems to suggest that this is being corrected. For all the fire and fury on twitter /watsapp dont get sidetracked by the remarkable success the ideology/organization has had in the last 70 years. Mind you, this is an movement which was banned in 47, and then thrice. The country has a constitution which more or less has watertight-ed “secularism” unlike Pakistan’s Constitution which helps/abets the Islamists. Also the constitutions has reservation which helps to solidify OBC’s/SC/ST groups and pushes them to break more on caste lines. Add to that federalism which divides on ethnic lines. Add to that your opponent is in power for 60 years and has all the power and money of the state. Against all this odds(and more) it had to build up from ground zero and today at least represents one pole of Indian politics from the early days when it had to take support of socialist and communist. To unite even that many disparate groups under even one banner of Hindutva is a terrific achievement , whether you agree with them or not. Take in case Assam where the ground was fertile for a Dravidian style nationalism but bit by bit it has made religion as much of marker of identity as tribe/ethnicity. For the RSS even the current trends of OBCs turning to them is plus. That alone can make them unbeatable. Dalits /Sikhs/Buddhist etc they can worry later. For long they were just UC party . Vishal, Hinduism is an open source open architecture based on freedom of art and freedom of different subtleties of thought. Is this difficult to understand? I guess you could call it a movement for freedom? Basically all I got from him was that he doesn’t like Indian secularism and wants a Hindu Rashtra. The Indian government is apparently oppressing Hindus. He didn’t really answer the question of how minorities were going to be treated in the Rashtra and what guarantees there were that their rights would be protected. Thats a problem with the whole of Hindu Nationalism. We don’t have any intellectual heavy artillery to speak of. Its because ALL humanities departments in India are filled to the brim with Leftists of every hue who if not apathetic to Hinduism actively want to destroy it. They will never let anyone remotely sympathetic to Hinduism get a position in the academia. Even this is a symptom I believe. Muslims and Christians leftists never share this extreme self-hatred which is typical of Hindu leftists. Most educated Hindus develop a sense of shame about Hinduism so its not surprising they gravitate towards leftist philosophies which totally want to deny religion and religion inspired culture its due place in society. It takes real courage to own up to a way of life considered antiquated and treated with intellectual hostility by the majority of world population. Most people are cowards that way and want to take the easy way out. However I still am optimistic. Urbanization, India’s economic rise and Hindutva should make Hinduism stronger making caste, region and other faultlines in the Hindu society less important. In response to Omar’s question in the podcast where he wanted to know how Hinduism, a misfit in modern times will survive; I believe Hinduism will survive because there exists and always will exist a critical mass of Hindus who want it to survive and would be willing to make efforts to pass it on to their children within their families. A collective or centralized response to the challenges of modernity and conversion attempts by Abrahamic religions may not even be needed. If a very long period of hostile foreign colonial rule by both Muslims and the British could not dislodge Hinduism, I have reason to be optimistic. Even among the dalits, a class of people very much mistreated by the Hindu society, there exists ownership of Hindu traditions. No Hindu nationalist wants to divide society into rigid Brahma-Kshatra groups with each hereditary and given a particular role in society. Those days are long over. Many caste Brahmins are in the Indian army, work as traders and even farmers or security guards. The case is same for all castes. Hinduism will survive by changing and adapting organically. Thus what will survive be different from what was there but thats the way it should be. Yes @janamajeya, I think you are right. If when referring to “Hinduism” you are talking about the more sublime aspects of the philosophy, ethics, theory of self, then I have no doubt that they will survive and proliferate, for the simple reason that they are based in Truth. Satyamev Jayate, as we like to say. In fact, we are already seeing “Hindu” ideas proliferate through the highest echelons of western society via yoga, meditation, vegetarianism etc. Robert Wright frames this cultural shift in “Why Buddhism is True,” where he observes that in many ways scientific materialism has begun to converge on the same conclusion reached eons ago by our Rishis and Sages, namely that the notion of the “self” is an illusion. However, when it comes to the survival of Hindu society, I think things are more uncertain. If I were to define “hinduism,” I would say that, broadly speaking, it is an emergent phenomena, borne from a ritual community. In this sense, I think “Americanism” is a suitable parallel (rather than looking to a religious comparison). In the same way that capitalism has served as “ritual mechanism” to assimilate people from all over the world into the American way of life, the complex web of ritual obligations and pilgrimage in ancient India (and, by extension, Varna) similarly helped build cultural continuity throughout the sub-continent. Maybe you can define what it’s not but he didn’t do that either. It would be interesting to hear the thoughts of @manastaramgini on this. No amount of Tagore or “Punjabiyat” stopped the same ethnicities to turn against one another, when push comes to shove. Wont say this is such cut and dry, ie the bengalis ,urdu folks and punjabis did collaborate for Pakistan now, didn’t they. Religion CAN override difference , ie why are the the gujrati hindus and tamil hindus even in one country ? India is conglomeration of hindu majority areas+ N-East folks who happened to come as part and parcel of Brits territory. Change the religious demography in any part and you would suddenly see the so called “Indian” culture no longer hold it together anymore. There is enough ethnic difference for people to secede if not for religion. For some even religion isnt enough but that’s a separate story. I wouldn’t generalize from the Partition riots. Those were extreme circumstances in which passions were high and people were afraid for their lives. Punjabis of different religions have very real bonds having to do with food, language, etc. The fact that these bonds haven’t broken after 70 years and several wars says something. Partition happened because religion was privileged above all other dimensions (which in my opinion was a mistake). Later, the East Pakistanis/Bangladeshis found that language and culture were more important to them than the fact that they were Muslim. Since India respected its various ethnolinguistic communities, there have not been any major demands for secession (other than Kashmir and the NE). If India had tried to impose Hindi on the whole country the way Urdu was imposed in Pakistan, I imagine the union would have had a much harder time holding together. Saurav, what is the difference between Hinduism and atheism? Isn’t the goal of Hinduism or religion in general to transcend all theisms? Isn’t the goal for most people from an eastern philosophical tradition to become atheist? I don’t know what nominal hindu means. Post modernism/marxism regards Hinduism/Buddhism/Jainism/Sikhism to be dangerous philosophies that enable the powerful to oppress the weak. The concept of self actualized persons (who have extraordinary levels of mental health and deep intelligence) is regarded as offensive and very dangerous by post modernists and marxists. Post modernists and marxist policies focus on preventing people from becoming very successful and in the process significantly harm the global poor and lower middle class. I generally personally consider “Hindutva” as a weakly Abrahamicised type of Classical Hinduism, majorly in the exterior and not altering any of the inner core of Classical Hinduism (for the most part at least), but I might be very wrong. As for Classical Hinduism, it means several closely related things to several caste-background people perhaps. For Madhvite Brahmins, it might mean something like a mature monotheism while for other non-theologically-inclined Madhvites it might mean a monotheistic faith rooted in the service of Hari and praise of Vayu. For Srivaishnavites, it might mean surrender to the One, while for Advaitins, it might mean becoming One (and the only One). For majority Puranic- and Smarta-type Classical Hindus (in addition to the above mentioned categories) it might be about the system of Varnashrama (or majorly Varna only these days but I don’t know; the Ashrama part is not emphasised at least – maybe because it is kinda intuitive to people and families even without religious instruction), a following of traditionally handed down rites of passage of life in families, a significantly extremised, almost-possibly-Low-Hindu-in-origin belief in “you shall reap what you sow” (leading to the doctrine of rebirth or reincarnation or stuff like that (or perhaps I’m wrong here and the concept of Karma in Classical Hinduism is very different from the folk understanding/(mis)appropriation of it)), a strong desire to try to avoid causing as much avoidable harm to beings as possible, a strong emotional response to the tragic nature of the human life of the Divine Couple Vishnu and Lakshmi in their forms Rama and Sita and trying to be as stoic in their own lives as the Divine Couple, a henotheistic/personal-monotheistic/personal-favourite-deity-istic/polytheistic familial and personal faith, a strong taboo in connection with the killing and eating of cows, a general belief in the progressively degenerate nature of society, etc, etc. 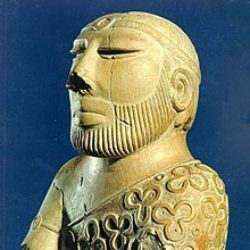 But still the core base of Classical Hinduism was, in my view (and I strongly suspect many others), in the more central and eastern, Gangetic regions of the Indo-Gangetic plain geographically speaking and with the forest-dwelling-at-the-time Brahmin caste human-resource-wise, whenever it was for this epoch. So yeah, if we try hard enough perhaps, Classical Hinduism is very amenable to definition with “Hindutva” being something like a weakly Abrahmicised Classical Hinduism. Please also add the other important belief in the concept of ariSaDvarga (or ariSaDvargaM? I can never get past the stupid genders of Sanskrit, Hindi. etc. etc. things lol) and trying to defeat these Six Enemies in the mix above. There should definitely be a lot more that I missed but still Classical Hinduism is very likely a unitary religion with perhaps ultimately, as Wikipedia most probably says, Vedas (truly or as-perceived or both) as the source of it, though there is at least in my mind, a very slight disconnect possible between Vedic and Classical Hinduisms, as in just natural change and drift; something like a not-very-conservative proto-form of a language giving rise to a modern form perhaps. But Classical Hinduism itself is obviously quite conservative. Anyway, so one of the other curious aspects of “Hindutva” is probably its more-than-usual fascination with the Vedic age and even earlier. This probably does not apply to Brahmin families but I was personally not even aware of a thing called Vedas until my adolescence or some such time (I had known the basic outlines as well as important details of both Ramayana and Mahabharata a long while before that) and my particular familial sub-branch through which I consider I receive most of my personal religion and spirituality has always been fairly-high practising Hindu (a teeny-tiny bit more than others among their relatives) in a mixed Classical plus folk kinda way. Very nice podcast, I thought. I agree with the guest that the historical evolution of the concept of secularism in the India is very weird (read: India is not at all secular when it comes to Hinduism) but Indian constitution and modern Hinduism are kinda appropriately or inappropriately closely intertwined as part of history and there’s got to be at least some good things that have come to even Classical Hinduism after the birth of the Indian constitution (the reverse is also true obviously). The relationship between these two is a real mess indeed but maybe the more safe way is to diligently divorce large parts of them where they really should not be intertwined while also keeping the Constitution and not scrapping it, in my view, because the Constitution probably has the capacity in it to extend better basic freedoms and protections to a few outlying individuals should they, God-forbid, find themselves in a position to leave/get forced out of families and religions (including Islam and Christianity) due to whatever reason. I’m not saying that Classical Hinduism is incapable of achieving this (or I’m indirectly saying just that perhaps lol but only out of sheer ignorance and no malice whatsoever) – I’m not at all knowledgeable about it and it is probably just my biases showing. Anyway after that blatantly ignorant or even anti-Hindu-ish assertion there, I’m simply gonna continue shamelessly and say that, in my view of course, there is no harm in keeping the Constitution since people who might, God-forbid, need access to what I personally consider are the origins and bases of the specialist, anti-violence-ist protections extended to non-violent and non-harmful deviants of society from the religious perspectives (which can be very strict of course) in the Indian Constitution are always going to be relatively low in number compared to the majority. (And it’s not like Indian people invoke Constitution every day and night – for example, there is no ban whatsoever on inter-caste marriages in the Hindu Marriage Act of 1955 (interestingly I found out recently that many states in the United States had anti-miscegenation laws until the Loving v. Virginia case of 1967!) but in many parts of India, inter-caste marriages are still not viewed neutrally and are not very prevalent which shows that it is possible to do what you want and what you personally believe should be the case even if the law is not banning what you don’t like; again as I said, my thinking is generally concentrated on the treatment of non-violent atypical people – if it is the case that a Classical-Hinduism-based state system and jurisprudence, etc. can also achieve this, then I see no reason to reject that possibility too. (My thinking about the above matter that some type of a reasonably-okay-type existence must be possible for generally non-harmful and non-violent people choosing to fall out of the norm and into the wrong side of it, is because of the fact that one of the other possibilities that a lot of the people of the above category might like to opt for if they feel their overall well-being is irreversibly and irreparably compromised and unattainable – that of suicide, (and euthanasia, in some special contexts) is even more discouraged in most cultures and religions currently. Is this kind of a thinking very non-Indian or even anti-Indian? I personally tend to view this mostly as selected from modern humanistic ethics which feels like it’s kinda universally applicable in this context even if it might have had some local origins somewhere in the past, Indian or extra-Indian.) But anyway, I apologise so greatly and extraordinarily sincerely if my not-definitely-formed-after-reading-a-lot-and-thinking-a-lot views above were so cringeworthy lol! Nice podcast – I would love to be on your podcast to continue the conversation – I’m a self-avowed Hindu nationalist and can articulate the points, IMO, much better than @Pinakasena. I also grew up in the US so my perspective would be rather unique. Please let me know if you can have me on the podcast. MahaVakyas, could you share links to some of your articles or podcasts? What do you regard as the difference (or non difference) between Atma and anatma? Are Purna and Shunya the same? Is there a subtle difference? I have been asked this question by several Buddhist monks and scholars, and I have my thoughts. But I would be interested in hearing yours. 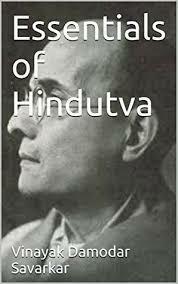 Do you like or dislike the term Hindutva or Hindu plus tattva? What does the 25th Tattva (most subtlest Tattva of Akaasha) mean in your words? – Hindutva = hindu + tva = hindu ness. tattva = tat + tva = such ness. But all said, it is incredibly difficult to separate church (the Hindu church only majorly) and state in India. For example, it is very deeply ingrained in the culture of common Telugu people that the Telangana Chief Minister presents silk garments to the deity at Bhadrachalam every year for the occasion of Rama Navami. Practices like these are probably impossible to remove. So since a genuine secularism can never function in India, the only possibilities are to either have a secularism with quirks (but don’t abuse the Hindus too much) like now or a Hindu state. Just listened to the podcast – there was a lot of cases of crosstalk with both Pinaka saying something and Omar interjecting simultaneously – technical/ recording issue I guess?